To Outsource: In place of an internal source. How to say this concerning the prophetic? How many prophetic words OUTSOURCE their focus on external ways to get there, to break out, to break through, to walk in a certain way or to achieve a result? Outsourcing places the focus on something external to accomplish a task or to complete a project. In the prophetic we often ‘outsource,’ giving words with external focus on something out there to get us where we should be. How? We chase revivals breaking out somewhere with someone so that we can get there to receive something – Why? He is in us. 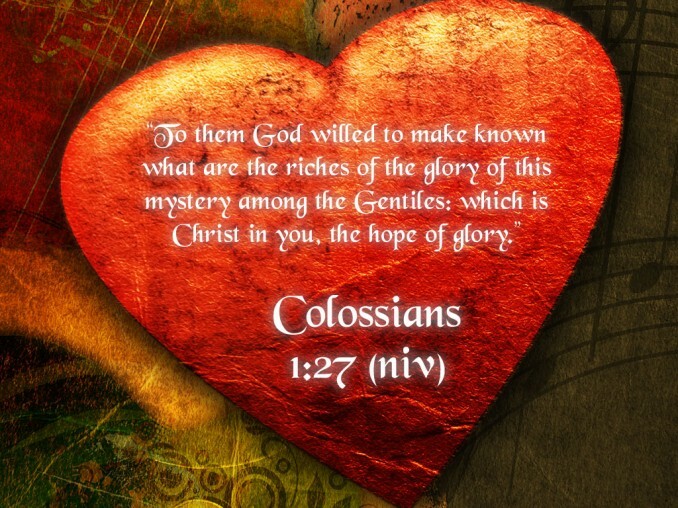 Colossians 1:27 ….Christ in you, the hope of glory. Financial miracles endlessly promised to us when we do something, go somewhere, etc. Corinthians 8:9 For you know the grace of our Lord Jesus Christ, that though He was rich, yet for your sakes He became poor, that you through His poverty might become rich. There are more but these are just two examples of how the focus is continually taken off of Christ when the Christ, Living Word has finished all on the cross for us….for us to know that reality in all we are, in how we live and move and have our being in Him. We stand in that reality and when we stand in that reality, its’ beauty and glory expands in our lives……….Holy Spirit leads us, directs us, guides us in the person of Christ, not the plan, program or agenda. This is just my personal observation. I was involved in the prophetic surge for so many years. I attended conferences because promises were made that breakthroughs would happen, lives would change, and more. I ran forward from a touch from the speaker. I bought the CD’s or the books. I fell under the power. I did it all. I saw a lot. I experienced so much. 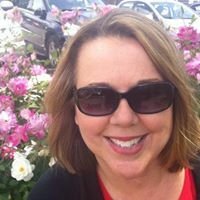 I am not saying that it could or did not change me BUT we were often swept up in a focus that was outsourced – the apostle, the prophet, amazed at the manifestations, the flow of the gifts………….we were enraptured by it all. I was enraptured by it all. I am not that way anymore. Because of this, I find that I filter all through the reality of the finished work of the cross bringing all glory to Christ for He is the testimony of prophecy. Christ in me. Therefore, if anyone is IN CHRIST, he is a new creation, old things have passed away; behold all things have become NEW. NEW = kainos – a new kind; novel; unprecedented; uncommon; not new in time, recent, but ‘new’ as to form or quality; of different nature. I am the change the world needs to see. I flow in revival. I break out in opportunities led by Holy Spirit. I flow in Christ and His desires for me. I don’t outsource my life in any way as my first reality. He is in me. He is my reality. Now that does not mean I don’t struggle or question His timing or His ways. I am human. But, if I get ‘off-center’ it is because I take my focus off of Jesus Christ. Does this sound too simplistic? Is grace that good? Yes it is. And, the prophetic needs to grow in this grace and glory and begin to prophecy from that reality. Great days are ahead of us. Divine – of Christ; of Holy Spirit; of the Father. I am a partaker of the divine nature, seated in heavenly places, in Christ. The depth of that revelation continually grows in me every day. It affects my relationships. It forges my path as to what I want in a prophetic community or a place of fellowship. I am not looking for perfection. I am looking for Christ in a people, in a church, in a fellowship. Okay let me just sit back for a minute and meditate on the glory of all this. Why? Why? Why? Would I outsource my focus to receive something or achieve anything from anyone other than Jesus Christ Himself? Yes, Christ flows through people to give to us but mature leaders always bring glory to Christ alone. Why focus on anything less than Christ Himself? Why? Yet, because of the immaturity of the Body of Christ at times, because of leaders that focus on meeting needs of people, or possibly because of a self-indulgent Western Church that quite often places themselves as the center of their own universe – because of this, we outsource to meet the needs of the people to receive something, to get something rather than focus on the eternal glory and beauty in Christ………..who is in me. Each day I wake and each day I walk in a prophetic life that is exploding in a revelation of Jesus Christ who is my all in all. Through the anointing of Holy Spirit revealing Christ to me and through me and in me, I simply walk on a sure path in the way of the person of Christ. From that place, I receive financial breakthroughs, healing, miracles, prophetic paths, and more. It is all in Him.